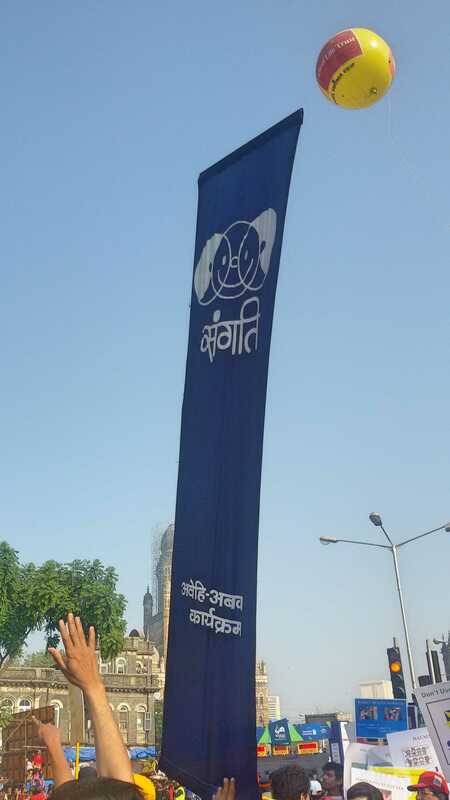 Yesterday all over Mumbai folks woke up with extra aches and pains but satisfied smiles despite feeling stiff all over! 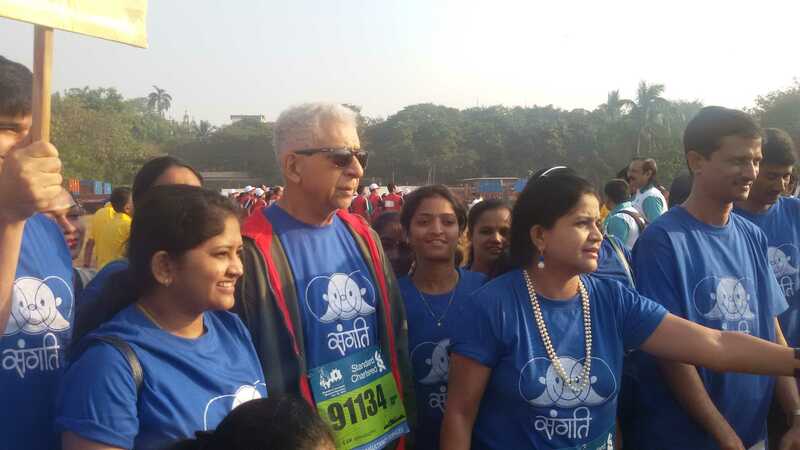 Sunday was the 12th annual Standard Chartered Mumbai Marathon (SCMM). 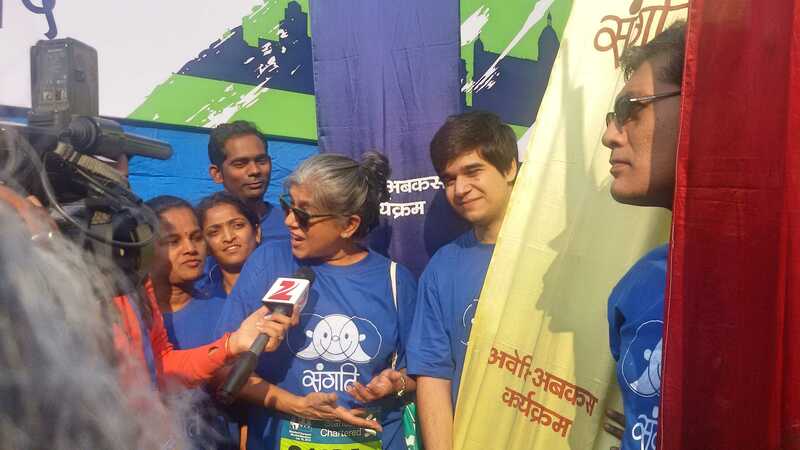 One of the largest marathons in Asia and India’s largest non-profit fundraiser platform. 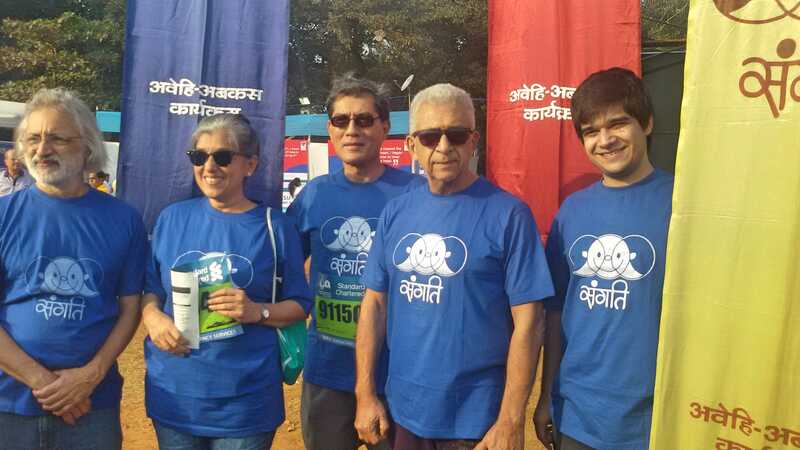 Clearly I’m not currently marathon material at the moment, however my partner volunteered to support the Avehi Abacus Project by participating in the 6 km “Dream Walk”. Avehi means ‘to know’ and the Avehi Trust, founded in 1981, is a media resource centre supporting schools, community organizations, women’s and environmental groups by providing media resources to enrich their work for widening horizons, for raising the level of education and awareness, promoting values of equality, justice, gender parity, secularism, environmental sustainability. The Avehi Abacus Project has developed three integrated packages of educational materials for students and teachers in the formal as well as the non-formal streams of learning. The programmes are meant to supplement and augment the existing school curriculum. In a country where most education is woefully inadequate and awareness of gender, social, environmental and other issues poor, Avehi Abacus is much-needed. We had a terrific morning and it was a privilege to join part of the walk amidst the teeming masses! 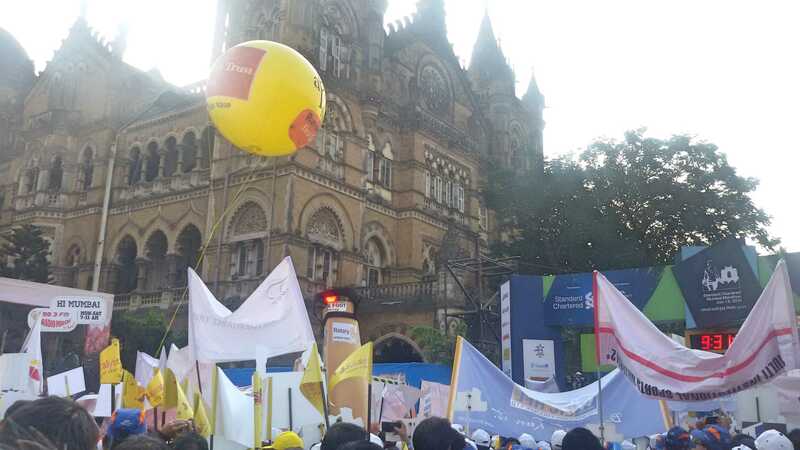 Truth be told it was more of a ‘shuffle’ than ‘walk’ with more than 40,000 registered participants plus many more times that in supporters adding to the throngs! It truly is amazing how many are involved and the diverse set of causes promoted. Aside from the charities, you can see everything from buff boys showing off their pecs to folks marching forward proudly with disabilities. There is also costume competition with the whackier the better! To learn more about Avehi Abacus click here or contact at info@avehiabacus.org. We are belatedly raising funds too! 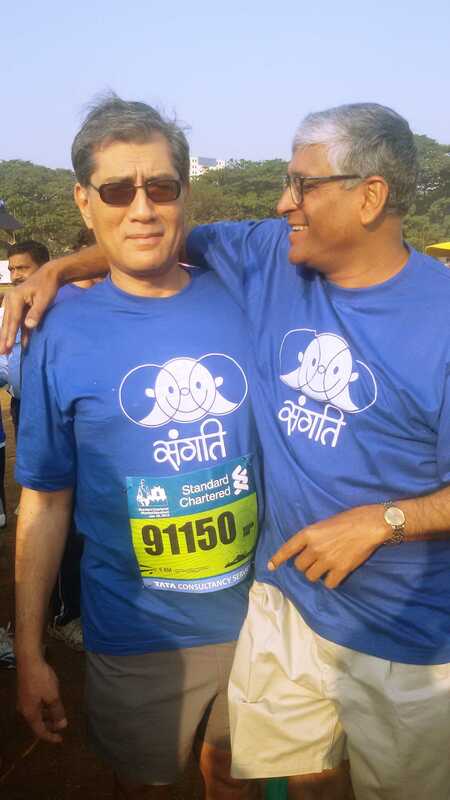 Please check out the United Way SCMM official charity link – Avehi Abacus – Fundraiser Denzil Smith. It is open until 30 Jan 2015. My oh my! Ratna with her admirers! By Carissa Hickling in Activities, India on January 20, 2015 . It is sounds like a worthwhile cause and to have so many participants and supporters take part will also raise awareness. Plus, I love the values Avehi promotes, especially equality.